Scratch 3.0 is the next generation of Scratch. It expands how, what, and where you can create with Scratch. 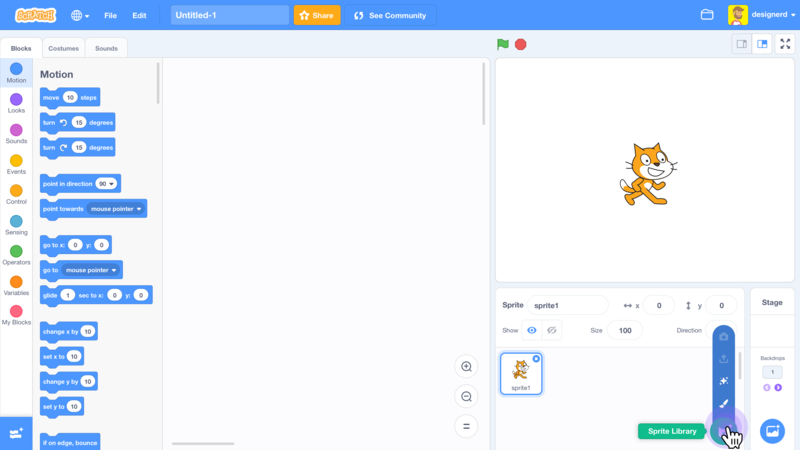 With Scratch 3.0, you will be able to play Scratch projects on your phone, create Scratch projects on your tablet, and control Scratch projects with your voice. And there are many other new features too! All projects made in Scratch 2.0 should be compatible with the new 3.0 version. 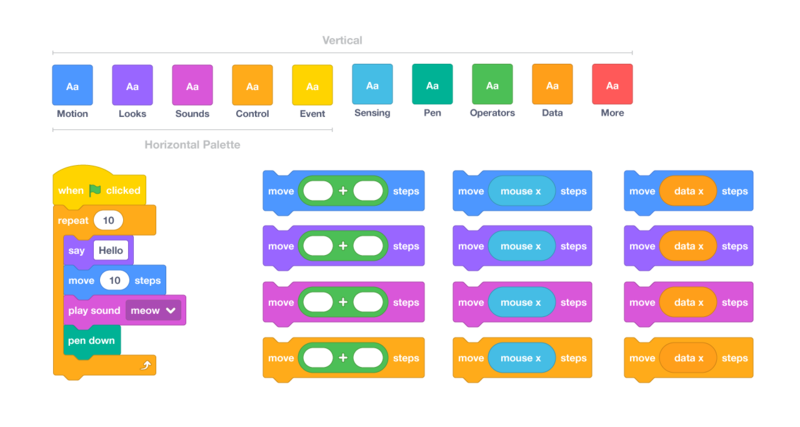 Scratch 3.0 is a fork of Google's Blockly project. It will eventually should be faster due to it using HTML5 rather than flash. There are some tasks that Scratch 3.0 is already much faster at than Scratch 2.0, but in general resource utilization and some overall performance work still remains to be done. We completed a bunch of performance optimizations on the VM over the past few months and will be continuing (and prioritizing reducing overall resource utilization) in March. When will the Scratch website transition to Scratch 3.0? What has changed in Scratch 3.0? Where can I find the source code for Scratch 3.0? No, they are not supported anymore. You can use Scratch 2 Offline Editor. What blocks are coming? What blocks will be changed? set pen [color v] to ()::#ff6680 // HSL Full support. change pen [color v] by ()::#ff6680 // HSL Full support. These blocks are moved to Extensions. Current project: [s3Blocks: scratchblocks rewritten for Scratch 3.0] ::#4b4a60 //https://scratch.mit.edu/discuss/topic/290031/ Basically done! Closing the main “Scratch 3.0” thread and pointing the conversation over here. On the preview FAQ, it explains why the blocks are bigger in 3.0, and the reason is understandable. However, I still think there should be an option to have smaller blocks for computers. ➲ New to Scratch? Ask me any questions you have! Check out my latest game! What happened to the picoboard extension? Sorry, but this part of the signature has been eaten by an evil kumquat. We are repairing it. Just kidding, this part is actually under constuction. List monitors are scheduled for implementation in March / April. GUYS GUYS GUYS GUYS GUYS GUYS GUYS GUYS GUYS GUYS! Look at the develop link! // Try using your mouse wheel anywhere over the stage! I can see reasons behind declaring one variable so that users can see how they appear and look and for ease of introducing the concept to beginners but I'm not sure calling it “my variable” is the best idea. Perhaps the ones you've met don't like using spaces just because they're so used to not using spaces? Putting spaces in variable names does make them clearer. Is “screenX” or “screen X” easier to read? What about “idx” versus “index in items”? Scratch blocks already have lots of spaces in them (e.g. “mouse x”), so we may as well make our variables look similar. I don't know about you, but I find it a lot easier to read “screenX”. When you put in the space, it just doesn't feel right; It feels like I have to read screen then read x to understand the word. When the human mind read a word, it looks at the first and last letter of it. This means if the mind sees s and X then I can pretty quickly assume screenX. But with screen X, it has to first recognize the first word and then recognize the letter next to it and combine these together. I prefer no spaces in variables. I always put spaces in variable names (on Scratch). The only reason it doesn't make sense to put spaces in variable names in other programming languages is because space is used to seperate tokens.